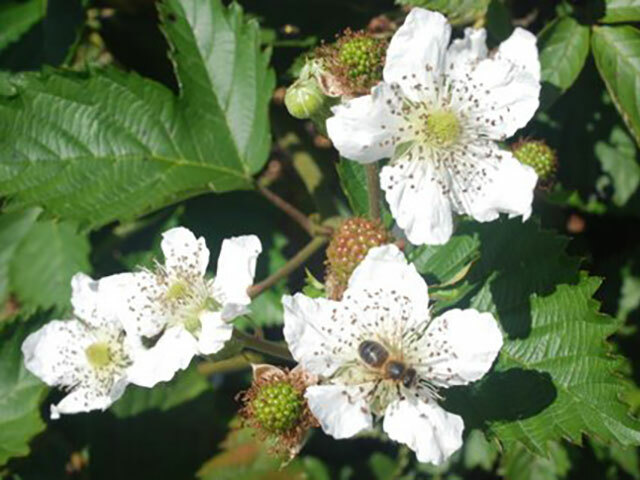 Fruit ripens from mid-July with a very long cropping period. 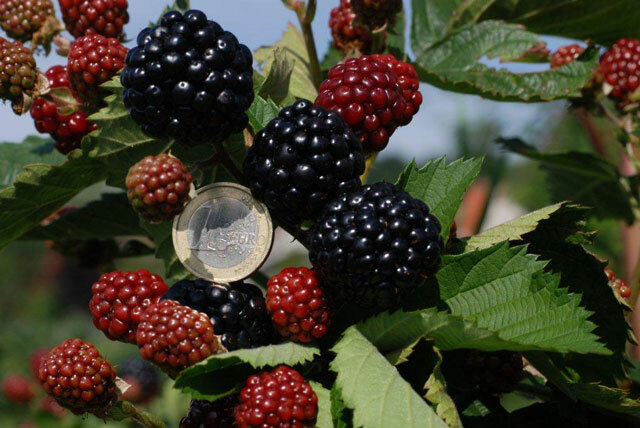 Very large, shiny fruit with excellent blackberry-aroma. Unlike most other varieties the berries of Asterina® do not taste sour even when not quite ripe. Upright growing with numerous shoots and sufficient young shoots for the following year. The plant is thornless. Plants of Asterina® are generally very healthy, with no particular susceptibility to pests or diseases having been recorded to date. Asterina® is very suitable for the pick-your-own market and home gardening. 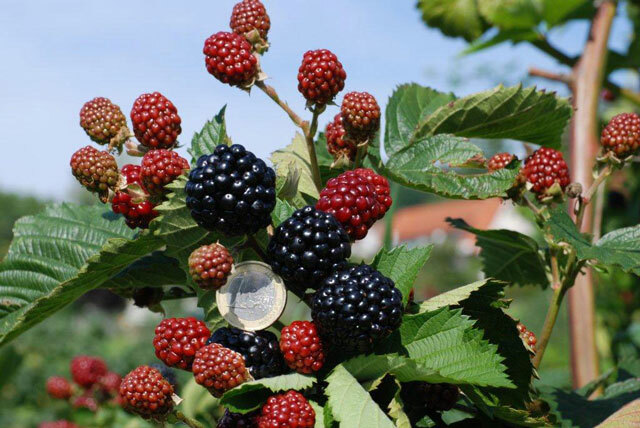 A variety truly suited for families who like eating berries as they pick them.